Guests flying out of Orlando (MCO) will want to be aware of new, stronger security checks for carry-on bags. The new procedure, which was announced by the TSA earlier this year, requires passengers to place all items bigger than a cell phone into a bin for X-ray screening. This means tablets, as well as laptops, now need to be removed from luggage for screening and placed in a bin with nothing on top or below. 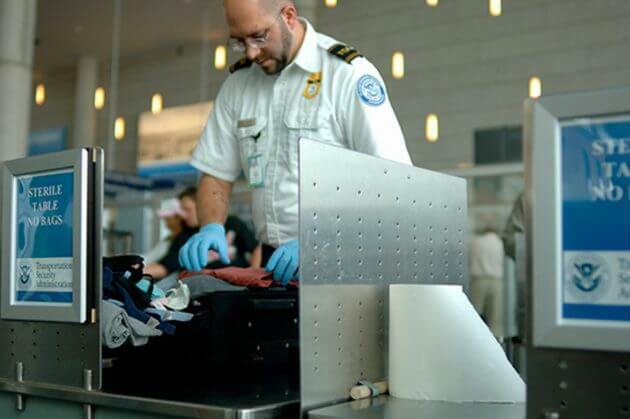 In standard screening lanes, TSA officers will be stationed in front of the X-ray machines to guide passengers through the process. Passengers are also being asked to remove food from carry-on bags at airports across the country, which we experienced on a recent trip. If you have chocolates, snacks, sandwiches, or any type of food item in your carry-on, be sure to remove it during screening to avoid having your bag checked. There are no changes to what travelers are allowed to bring in their carry-on bags. Food and liquid items that comply with the 3-1-1 liquids rule, books, and electronics are still allowed in your carry-on bag. TSA continues to suggest passengers arrive 2 hours prior to their scheduled departure time. These changes don’t affect those enrolled in the TSA Pre-Check program. This has been the standard at Louisville International for a while now. Why is MCO just now getting with this?